Securities offered through LPL FInancial, member FINRA & SIPC. Insurance products offered through LPL Financial or its licensed affiliates. 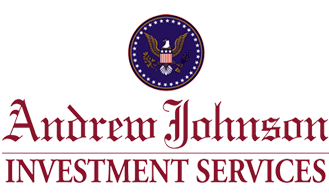 Andrew Johnson Bank and Andrew Johnson Investment Services are not registered broker/dealers and are not affiliated with LPL Financial. Series 7, 63 & 65 registrations are held through LPL Financial.